Have you ever heard of double gauze fabric? 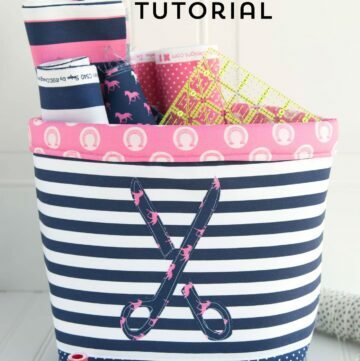 Have you ever wondered how to sew with it? It’s a lot easier than you think! 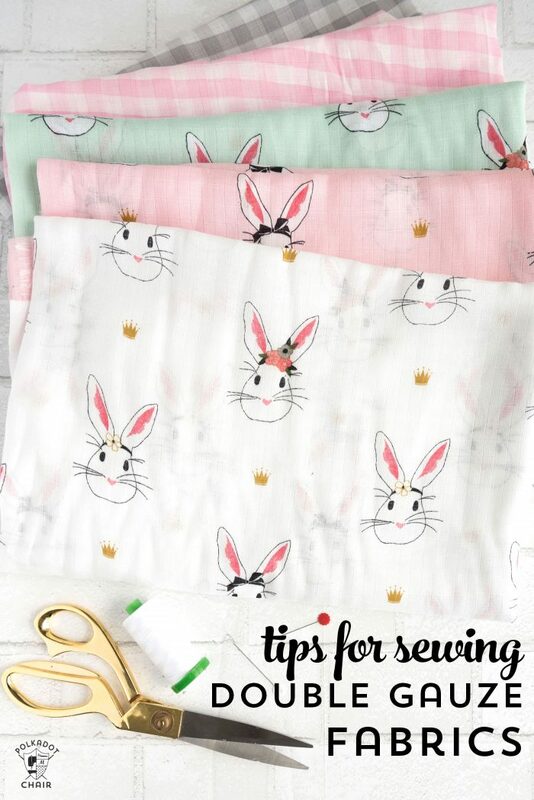 Today I’m happy to be sharing with you a few tips for sewing with double gauze fabrics. 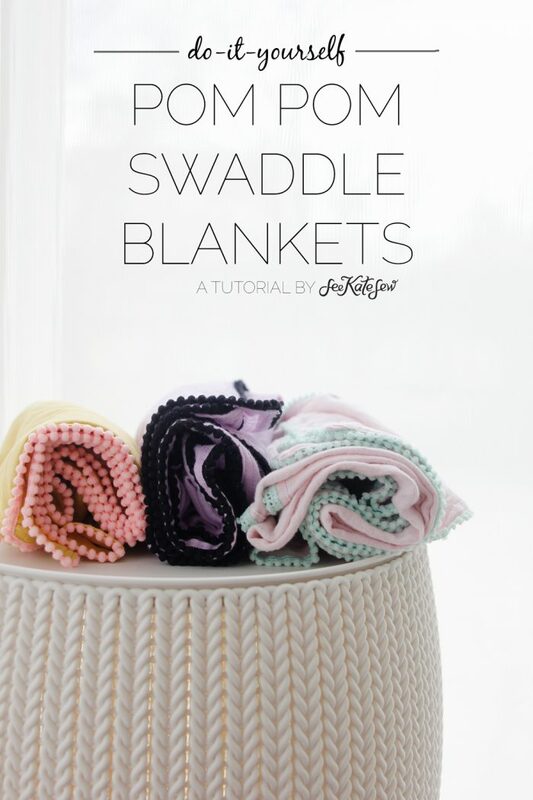 If you like this post then you may also like this Double Gauze Quilted Blanket tutorial. 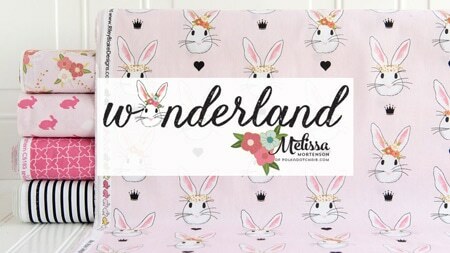 My Wonderland Two fabric line with Riley Blake Designs featured a print that was designed to exclusively be printed on double gauze fabric. 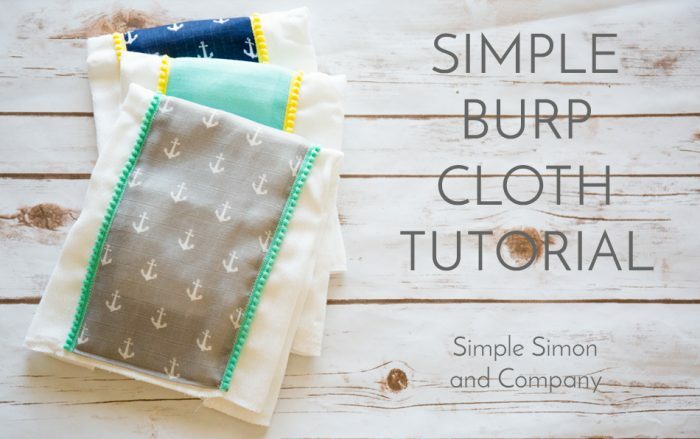 This month I’ve been working on a few tutorials to share with you using double gauze fabrics. I thought before I shared the ideas that I’d chat a bit about what double gauze fabric is and what kind of things you can make from it. Hopefully this will answer a few of the questions you may have about this particular substrate, and make you want to give sewing with it a try! 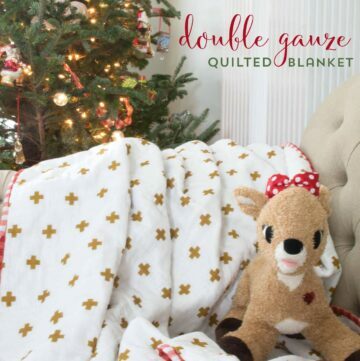 1- What is Double Gauze Fabric? Double gauze fabric is a very lightweight cotton fabric that has a very loose weave. Think of a baby burp cloth, but much nicer quailty. 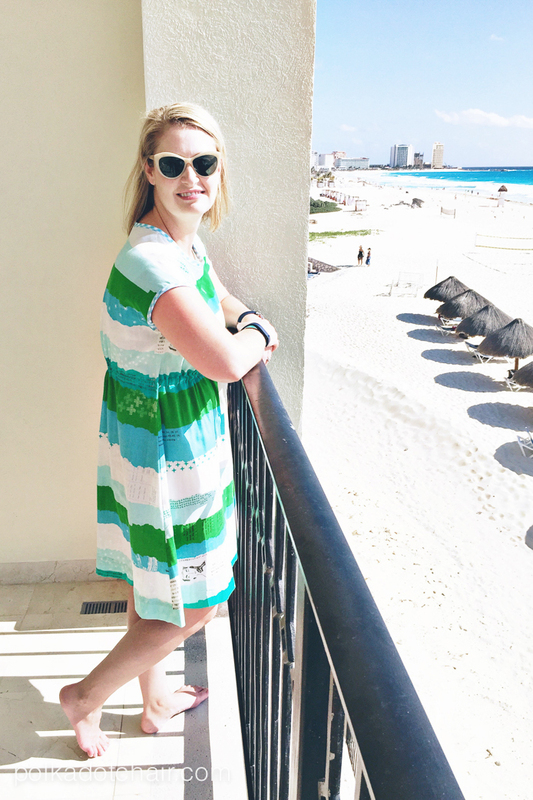 The fabric is breezy, soft, lightweight and has an amazing texture. Since it’s lightweight and soft it is frequently found used in items intended for babies. It is GREAT for that, but there are so many other things you can do with it to. 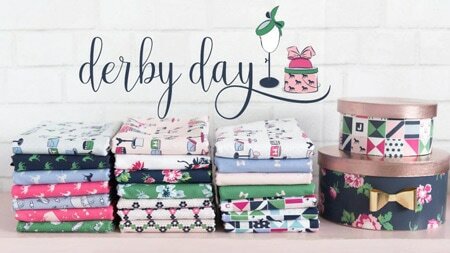 2- Do I need to Pre-Wash the Fabric? Yes and No. Due to the very light weight nature of double gauze it shrinks A LOT. 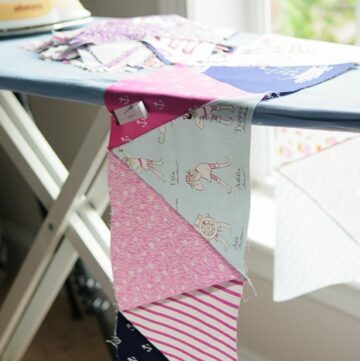 If you are making something that has to be the same size after you wash and dry it then YES, you need to pre-wash it and dry it BEFORE you cut out your project. When I pre wash it, I use a mild detergent (like dreft or woolite) then tumble dry it on low. After it comes out of the dryer it will be wrinkled (that’s kind of the point of the fabric). You’ll need to press the fabric well before you cut out any pieces with it. The washing cycle will remove a lot of the sizing on the fabric, so I recommend applying a light weight spray starch as you iron the fabric. The starch will give the fabric a bit more body and make it easier to work with. 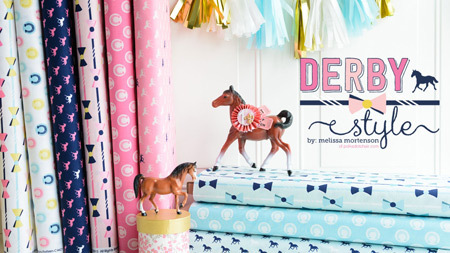 If your fabric has a print that is directional, you’ll also need to take the time to “square up” the fabric. 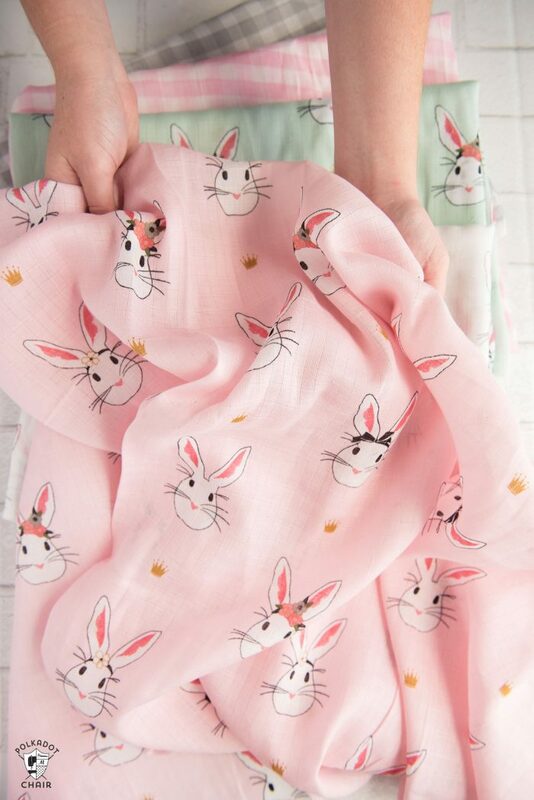 You don’t want to make a dress and have the bunnies running sideways. 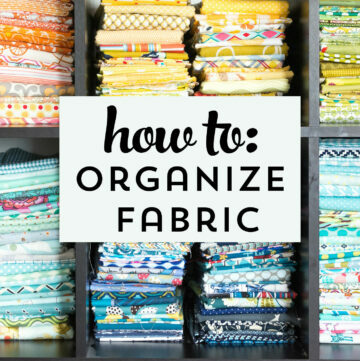 To do this, find one of the “threads” and follow it all the way across the fabric until you get a straight line. Cut along that line then repeat for all 4 sides. If you are making something like a quilt and you don’t care if it shrinks then I would not go to the trouble of washing the fabric. The only exception to this would be if you are using a different type of fabric on the back of the quilt. If you are using 100% cotton batting and double gauze on the front and back of the quilt you don’t need to pre wash. It will be easier to work with unwashed. After you’re done with your quilt then just throw it in the wash and dry it. It will come out a soft and crinkly! 3- What can I make with Double Gauze Fabric? Double gauze is usually used for baby items but can be sewn into so many different things. It’s lightweight nature makes it dreamy for summer clothing. I have a swim cover up made from it from a few years ago and it’s still one of my favorite items of clothing. 4- What are the care guidelines for Double Gauze Fabric? I would check with each manufacturer regarding the care of double gauze fabric. Just to be safe. As a general rule it can be washed in cold water and tumbled dry on low. 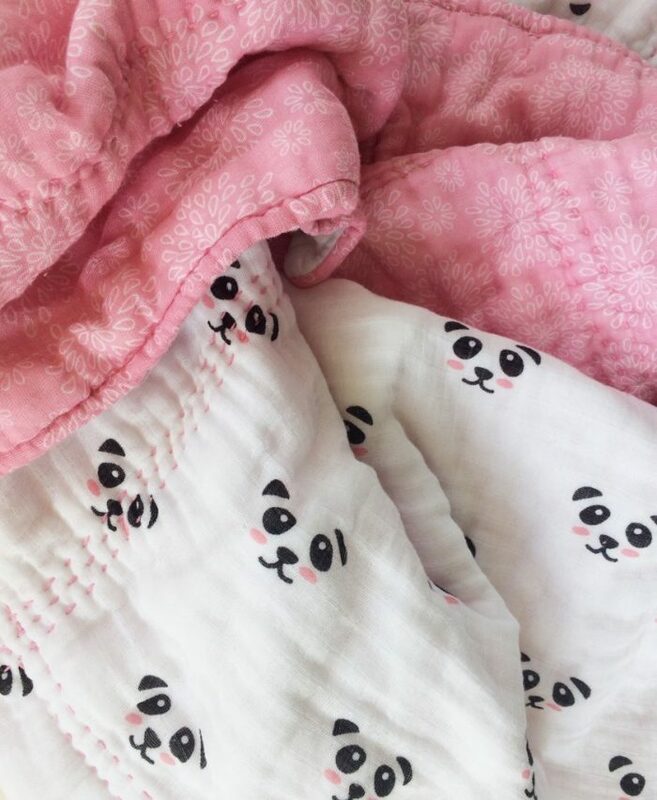 Since it’s used so much for baby items it only makes sense that it’s easy to care for. Personally I never had time for anything with special “care” guidelines when my kids were babies! I hope that give you a brief overview of double gauze fabric. I hope that you’ll branch out and give it a shot. You may just love it! I’m not sure I missed it, but I can’t find anywhere in the post you saying that “double gauze fabric” it’s actually a double layer fabric. There us the top layer with print and a back layer usually always white. 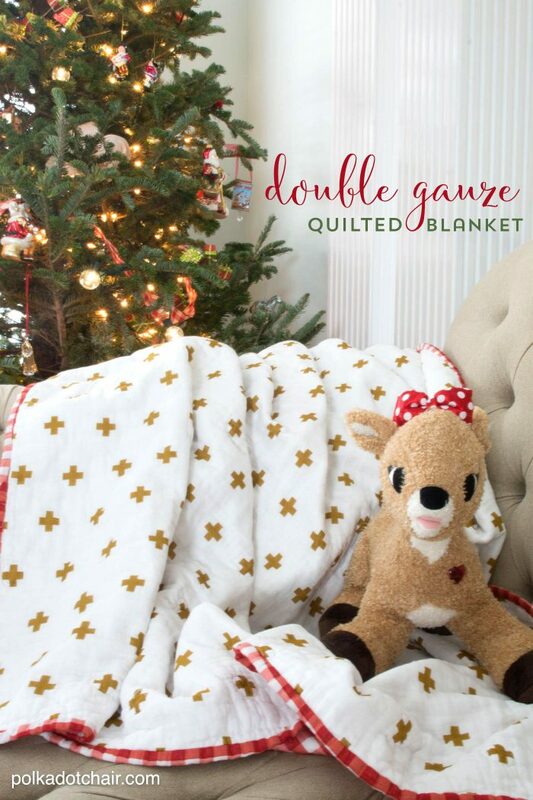 Double gauze…..double fabric. It would have been nice a picture of the back of the fabrics you have, so people that have never seen it, could have had a look. Actually this fabric it’s not obvious that there is a 2nd layer. It all looks like one layer of fabric. The back of the fabric looks just like any other fabric with the faint hint of the pattern on the back. 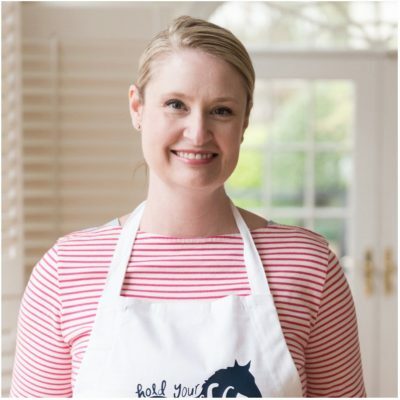 Can it be quilted on a long arm? I notice you had hand quilted. To be honest, I don’t know. My guess would be yes with the proper machine adjusments. Double gauze fabric can make the cutest and comfiest dresses, blouses, and skirts. Most cotton clothing will shrink during its first washing, so you will want to prewash your fabrics before sewing your project. Thank you for the tips! 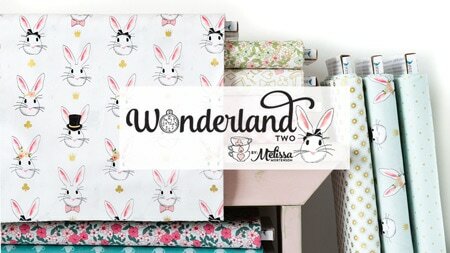 I have a toddler bed set made of double gauze fabric that has been outgrown, and I plan on repurposing it into pillow covers for my new bedding set. Love your prints!